Plasma membranes and cell walls have some features in common. Both serve as outer barriers for cells. Both provide support for cells, and both are important in cell functions. The similarities for the most part end there. Plasma membranes are found in all kinds of cells whereas cell walls are only found in prokaryotic cells (bacteria and fungi) and in plants. Cells that have cell walls also possess plasma membranes. When you compare plasma membranes and cell walls, a good analogy to use is the difference between a tollbooth and a wall. The tollbooth, like a plasma membrane, has checkpoints that keep certain things in and others out. Plasma membranes do provide a barrier for cells, but they are living organisms unto themselves. A cell wall is aptly named because it is much less permeable (meaning fewer things can penetrate it) than the plasma membrane. A cell wall is more structural than active. 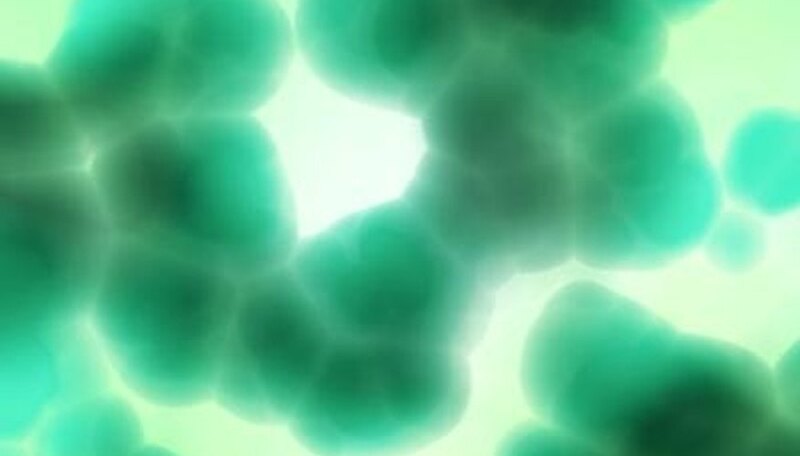 Cell walls of bacteria are made of peptidoglycans, a protein-sugar molecule that helps provide nutrients to an organism. Cell walls of plants are made of cellulose, which helps provide the sturdiness found in plants and also the crunch in many fruits and vegetables. Cellulose is indigestible in humans. Animal cells do not contain cell walls. Plasma membranes are involved in conduction, cell-to-cell communication and cell signaling. The cell membrane is also active in phagocytosis and pinocytosis, known as cell eating and cell drinking, respectively. The membrane of a cell communicates with other cell membranes to identify dying cells that will be eliminated. Cell walls may not have as many roles as a plasma membrane, but they are no less important. Aside from being a major barrier on the outside of a plant cell, a plant cell wall acts as a pressure regulator in plants. When plant cells take on water, it is the cell wall that prevents the cells from bursting with increased pressure.